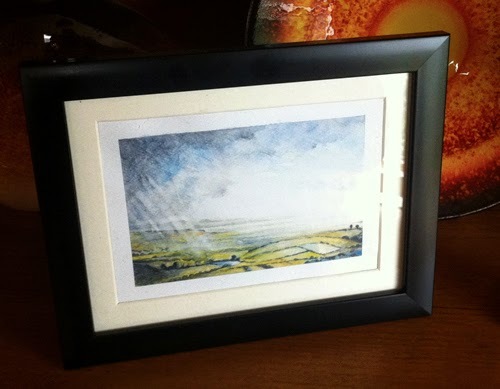 Water Colour Landcape Sketch for sale of Poole harbour from the Purbeck Hills Dorset. 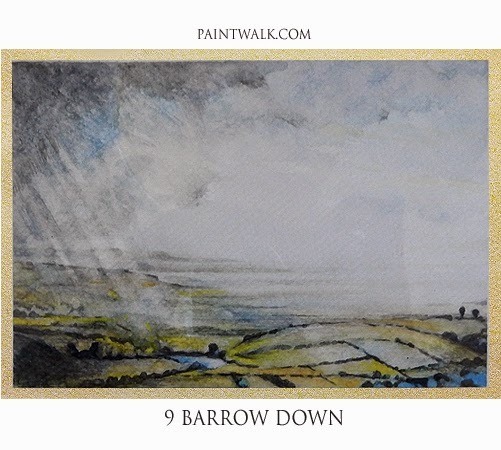 This is a watercolour landscape sketch completed in late Autumn looks out from 9 Barrow down on the Purbeck hills looking towards Poole harbour and beyond. The sketches are made using watercolour washes and then reacting to the density of washes to create the composition. 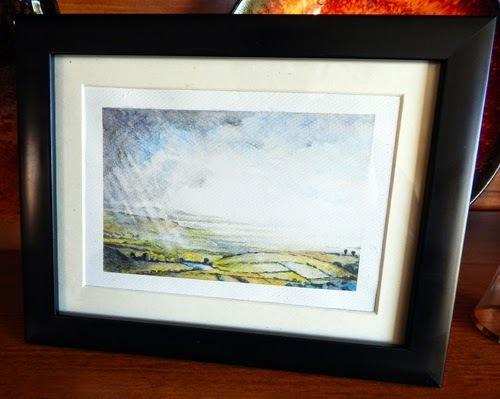 This means that the drawing or painting does not have a conscious plan before commencing and is allowed to develop using the original applied paint and trying to keep the imagination controlled for the execution.In this case it was density of weather and a storm brewing that led to this view. Emotionally this summed up my feelings at the time of painting this.